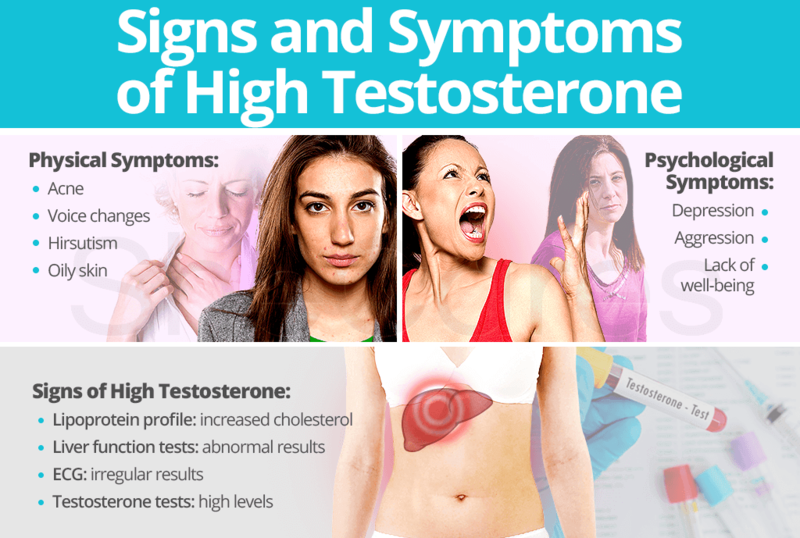 Because the signs and symptoms of having too much testosterone are similar to those of various other conditions, it is not uncommon of the hormonal imbalance to gradually exacerbate before being correctly diagnosed. Accordingly, in attempt to prevent the onset of more serious conditions, continue reading to discover more about signs and symptoms of high testosterone levels. 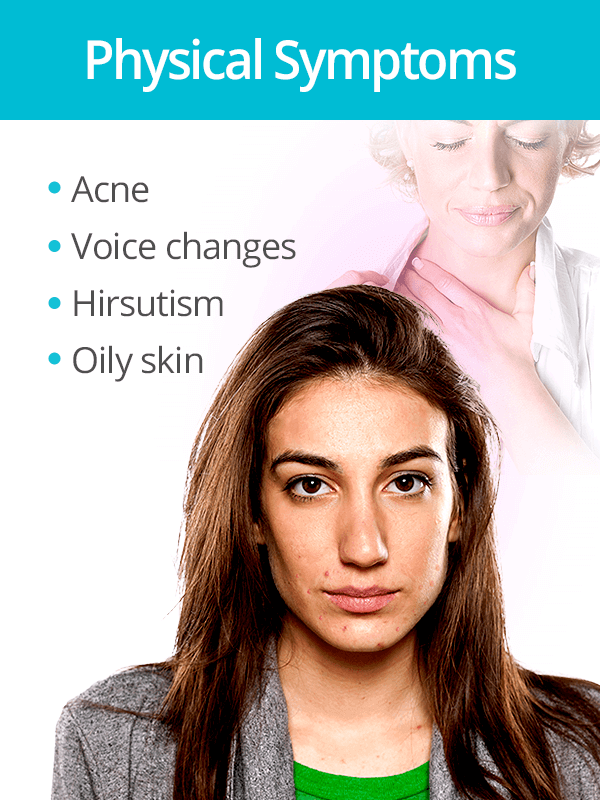 High testosterone symptoms - many of which are listed below - can occur at any age and affect more than just the reproductive system. While many of the symptoms aforementioned are self-examinable, there are certain health complications that can arise in women due to too much testosterone. Confirming signs for these conditions can help a physician work backwards to pinpoint the original cause. 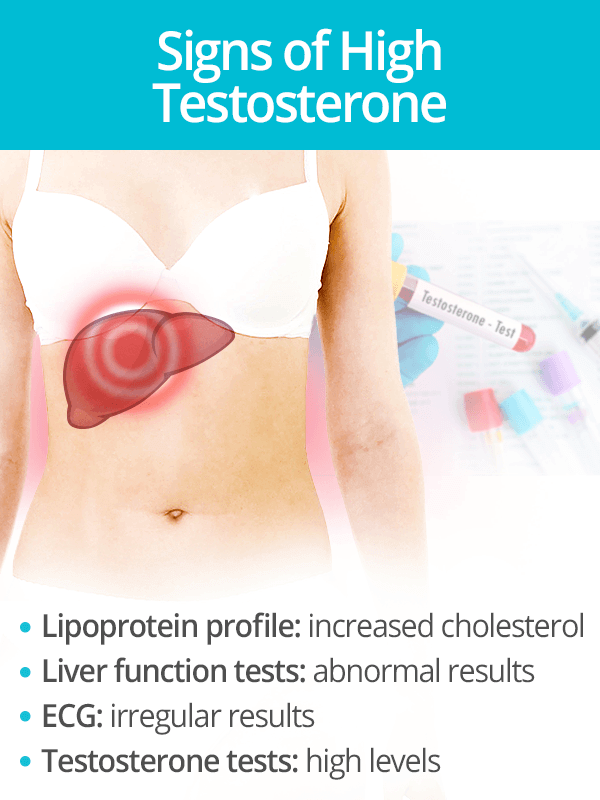 The following are medical signs, results from quantifiable tests, that can help a doctor diagnose a woman with excess testosterone in the body if paired with appropriate symptoms. Discover more valuable information about lowering testosterone levels and evade the future onset of high testosterone-related health conditions.